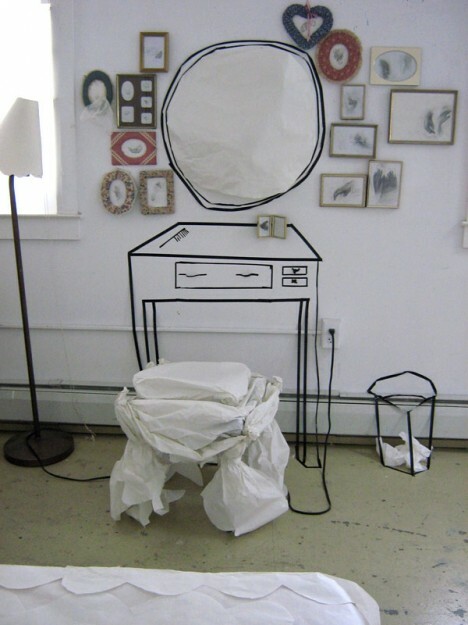 “Her Song” was completed in the last days of my residency in 2007 at the Virginia Center for the Creative Arts (VCCA), a few months prior to my husband, David Garratt being selected as the Resident Artists of VCCA. 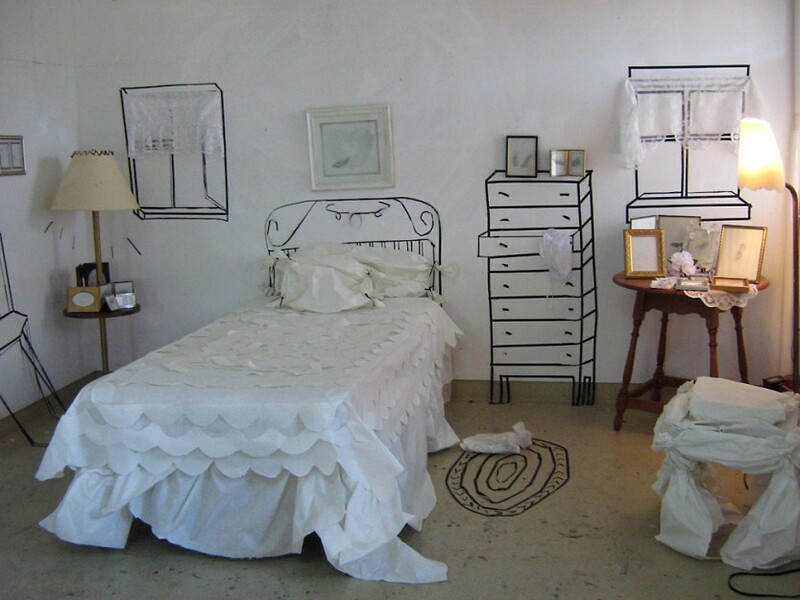 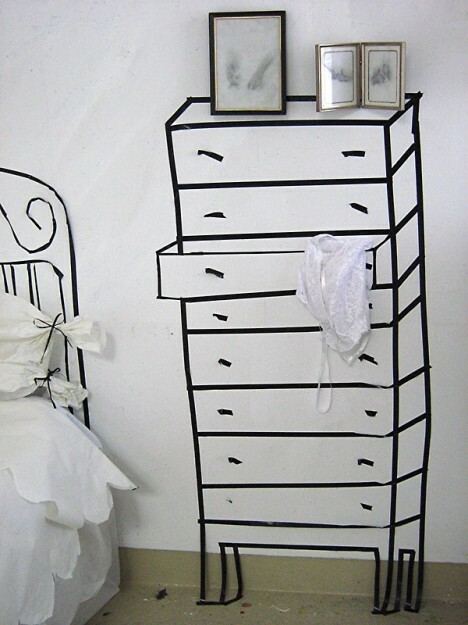 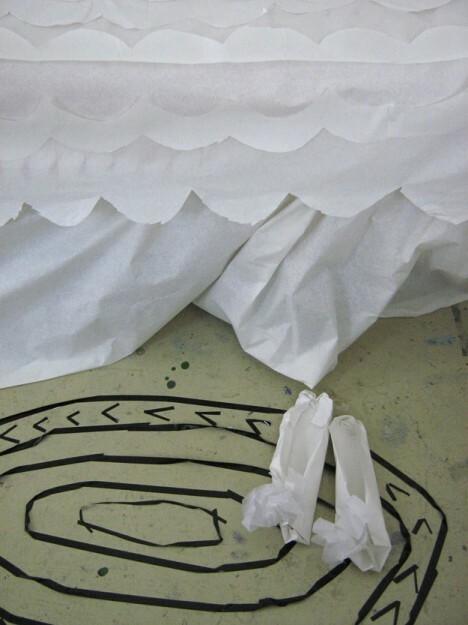 The installation is made with tape and found objects engaging two and three dimensions in a purposefully playful way. 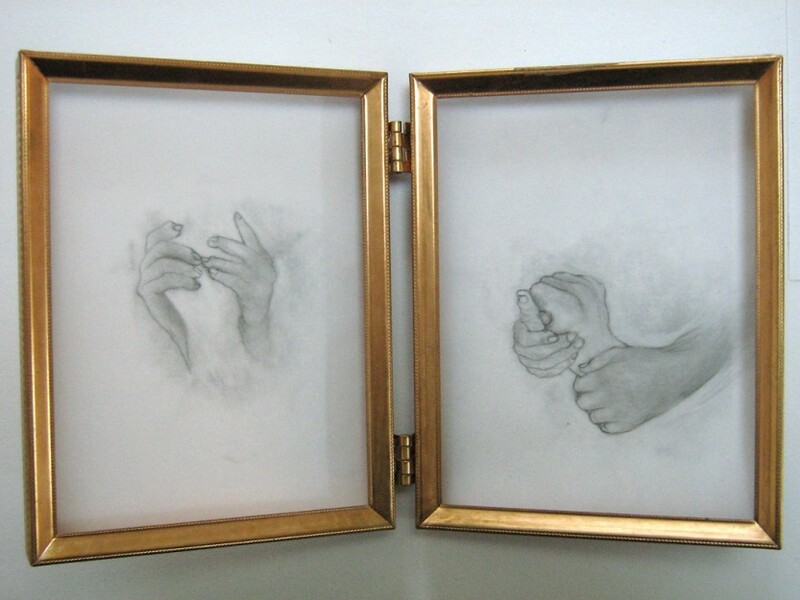 Also included in the installation are twenty-framed drawings of hands that I had completed earlier in the residency.